Description: This traditional "T" block is easy to construct using the flying geese method. 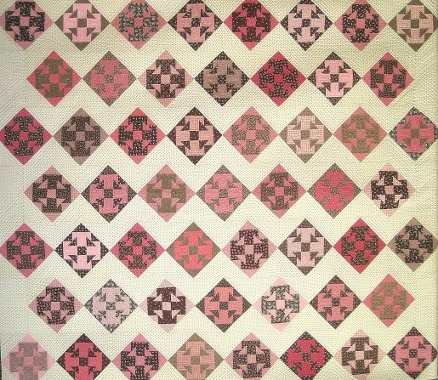 It is an antique quilt using pink and brown reproduction fabric. The name was inspired by my husband's great grandmother. Her name was Effie and was known for making beautiful hand quilted and sometimes hand-pieced quilts. She lived to be 100 years old and left many beautiful quilts for her family to enjoy.